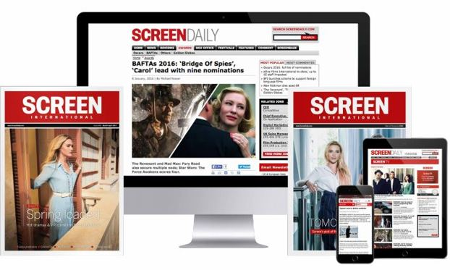 Founder of distribution and marketing consultancy We Are The Tonic discusses the future of direct film distribution. Direct distribution isn’t the dirty term it used to be. US filmmakers such as Kevin Smith, Shane Carruth and David Cross have taken control of their own movies to ensure their films find an audience while, more recently, landmine war drama Kajaki: The True Story was taken on a UK tour to spread the word and ensure a healthy percentage of the box office went to armed forces charities. “It’s no longer a last resort for movies that cannot find distribution,” says Deborah Rowland, founder of distribution and marketing consultancy We Are The Tonic. It was this trend that spurred the former director of distribution, sales and marketing director at Curzon Artificial Eye to set up London-based We Are The Tonic in 2013. We Are The Tonic recently launched a new online product to equip filmmakers with information on distributing their own films. Rowland, who has also previously worked at Icon, Disney and Twentieth Century Fox, launched Tonic to help filmmakers and film companies get their films seen by the right audiences, on the best platforms, supported by marketing and release plans. The company offers bespoke consultancy services and mentoring programmes in all aspects of film distribution, and manages tailored distribution planning for direct films. One example of Tonic’s work was on documentary Tony Benn: Will and Testament, about the late, outspoken British politician. “The director/producer [Skip Kite] was very disillusioned with how his last film was handled through traditional channels and felt there must be a better way of doing it,” Rowland recalls. “So we got him in and went through his aspirations for the film and its release. The heart of the film was getting Tony’s message out to as many people as possible. Tonic project managed the release team, bringing in a publicist, using their own social media expert and worked closely with Kite on creating the trailer and poster as well as providing access to media planners. “The whole idea is for us to facilitate that process and save filmmakers time, money and energy. More recent films to come through Tonic and Shear Entertainment’s doors are We Are Many, the debut feature from acclaimed documentary-maker Amir Amirani about the 2003 peaceful protest against the Iraq War; and drama Everyone’s Going To Die, which raised nearly £25,000 through crowdfunding at the end of last year to fund release in the UK and Germany. Rowland also likes to start planning release at least six months in advance – although there have been times when they have only had two or three months to play with. But the rewards of getting a film out there directly are clear. Looking to the future, Rowland predicts that direct distribution “is going to become more and more the norm”. “The platforms and tools are out there,” she adds. “Social media, crowdfunding, things like ourscreen and event cinema. They are all shows that the audience is open to different ways of consuming films. “Independent filmmakers are in the best position to try out these new models and the way films are released is only going to get more creative.